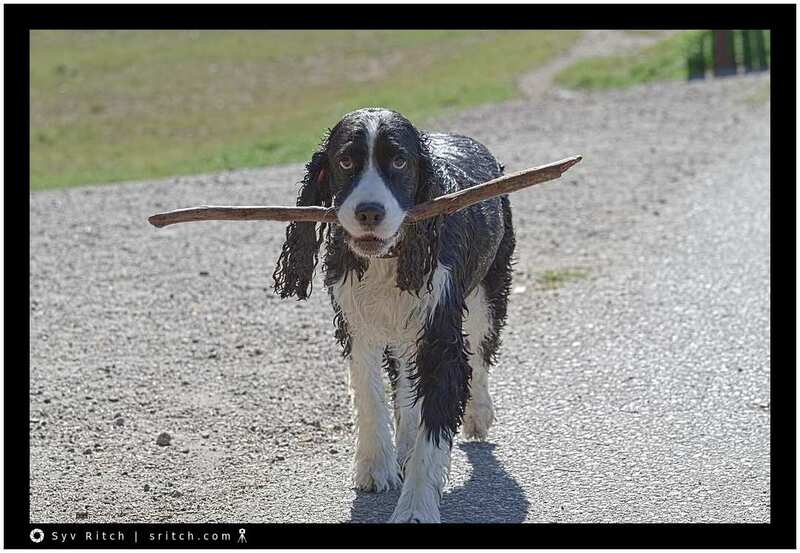 She knows she’s not supposed to carry this big stick. Her owner is ‘screaming’ for her to drop it. Behaviorists claim that dogs do not know what shame is. They claim that the guilty look — head cowered, ears back, droopy eyes — is a reaction to the screaming of the owner. In a 2009 study to understand the ‘guilty look’, dogs were videotaped as their owners told them not to eat a treat and then left the room. The behaviorists studied the reactions of the dogs and found that the ‘guilty look’ was strongly tied to the owner’s actions/reactions and not to the dog eating the forbidden treat.